We’re pretty sure we’re not the only ones jealous when we see people wear their fabulous coats and jackets in cold weather. Especially Hollywood people who simply look cool in it. While some countries experience four seasonal changes yearly which are spring, summer, autumn, and winter, Malaysia has only three – rain, hot, and damn hot! But the hot weather that this country is known for does not mean we should limit ourselves to just wearing summer dresses and short shorts. Who says we can’t wear multiple layers and thick fabrics? There are plenty of clothes which are typically used for winter that can also be worn in our warm climate without having us sweating like a pig. Here are some examples of winterwear you could definitely pull off in this hot and humid country. Caps and hats are common for people here as it helps them shade themselves from the blazing hot sun. However, there is another option that can do just that which is the beanie. 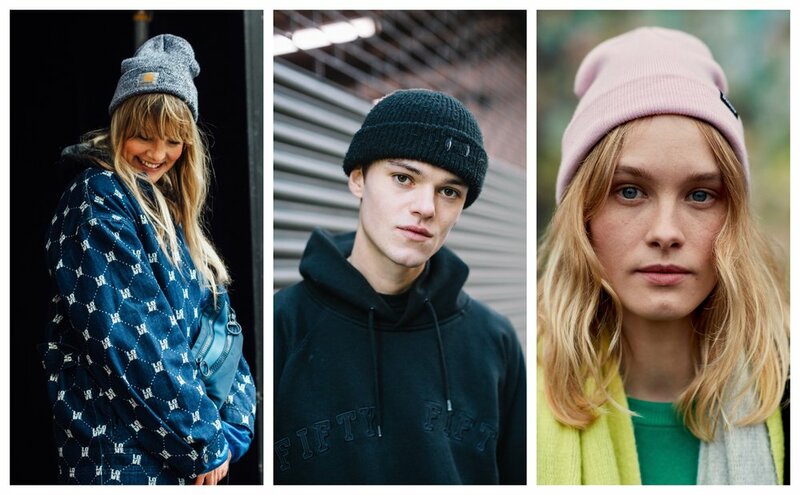 While some people swear off it, claiming that it makes them look weird in a way, but if done right, a beanie could bring you Harry Styles-level of style. A scarf is another winterwear move you can pull off in Malaysia. Dissimilar to the hijab and shawl which are also considered scarves, this particular one goes around your neck covering it and a little bit of your chest. We suggest wearing a colourblocking one which either enhances or subtly adds to your overall look. People tend to wear coats come winter since it’s the only form of clothing that can effectively keep the body warm. In our weather though, wearing a coat is not ideal and practical. A bomber jacket, however, is. Although it is typically worn in cold weather, a standard bomber jacket is also light enough to be worn during an ordinary day here. Another piece of apparel similar to the bomber jacket in terms of suitability is a hoodie or a sweater. You can never go wrong with a simple plain one even if you live on this side of the world. There is something about a it – style points if it is in grey – that is practical and can be used in many ways. Whether you layer it up or wear it as it is, there are just so many ways to style up your basic hoodie and sweater. To complete your overall winter look, boots are the way to go. Specifically, those Dr. Martens-type military boots where it looks big and chunky but adds a lot to your outfit. What seems to be footwear exclusive for heavy duties and cargo pants is now styled in many ways suitable for the warm outdoors. You can even go bare-legged with just the pair of those boots on your feet no problem. Although Malaysia is usually sunny, don’t let it stop you from going all out in your winter outfit. Just don’t go too over the top with multiple layers of winter coats. You aren’t living in the Himalayas. Do you have any winterwear which you usually use here in Malaysia? Share with us at the comments section down below.